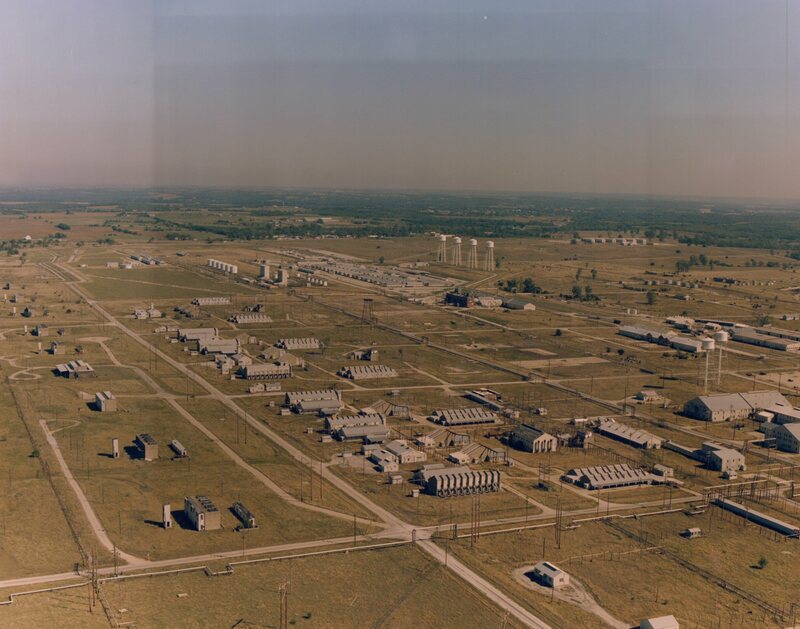 The Sunflower Army Ammunition Plant in northwest Johnson County functioned like an independent city because of its massive size. 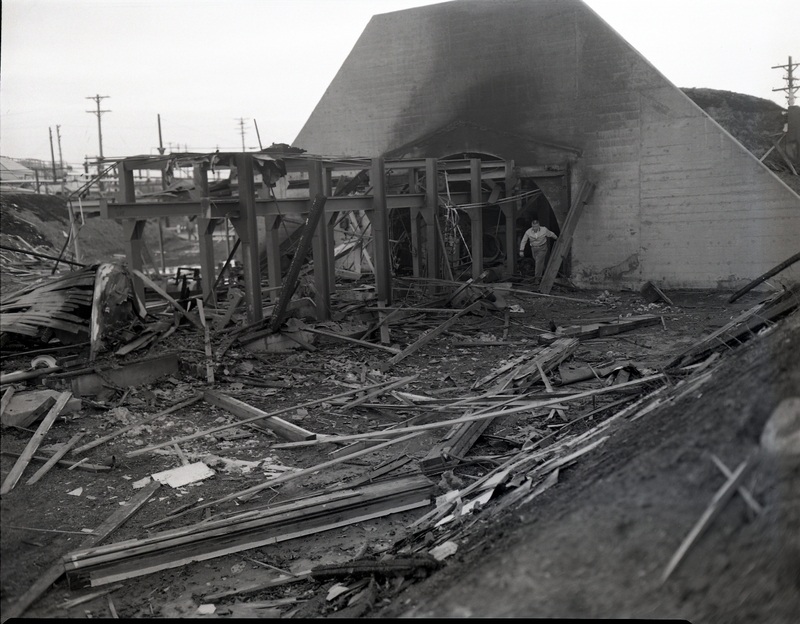 Its infrastructure included a power plant, a water treatment plant, a hospital, a fire department, a security force, over 100 miles of paved roads, and 70 miles of railroad track. The plant was roughly the size of the city of Leawood, and covered 15 square miles. The work at Sunflower was dangerous, requiring skill and focus to ensure everyone’s safety. Employees worked with highly flammable and toxic materials on a daily basis; one misstep could mean serious injury or even death. 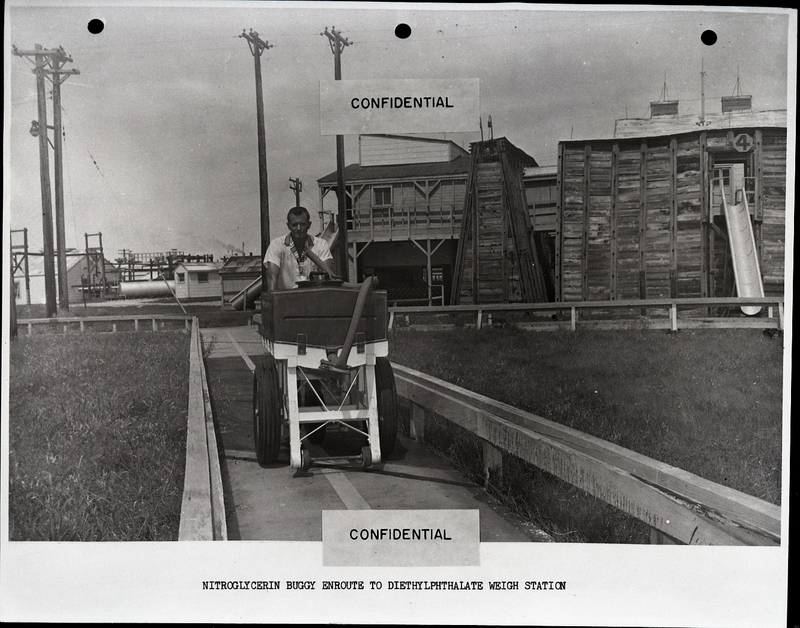 Plant workers nicknamed carts used to transport nitroglycerin “Angel Buggies” because accidents could result in an explosion. More than 20 Sunflower workers lost their lives during the plant’s history. Sunflower operated from 1942 until 1992 and employed tens of thousands of workers during its history. 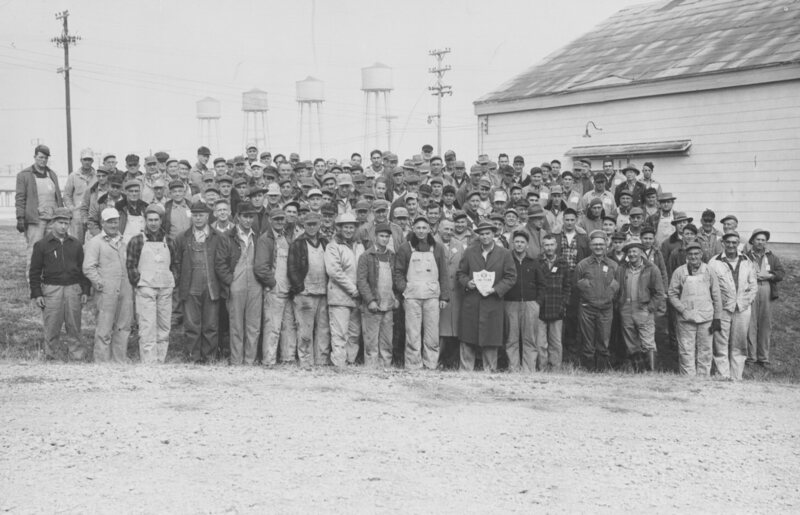 The plant changed the physical landscape and the demographics of Johnson County forever. The Johnson County Museum’s “Citizen Soldiers on the Prairie” exhibit tells the story of the Sunflower Army Ammunition Plant. The exhibit is on display until August 23, 2014.